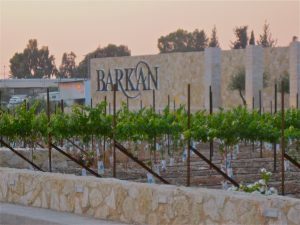 The allegations of racism at Barkan winery have been put to rest, but one question remains: Was there actually a problem with the kashrut of Barkan products? The answer depends on the reasoning of Badatz Ha-Eidah Ha-Hareidit for requesting that Barkan bar its Ethiopian employees from contact with wine. If these employees had not undergone a conversion, the Badatz would have been addressing a serious kashrut concern at the winery. According to most halakhic authorities, an Ethiopian Jew must convert if wine he or she handles is to remain kosher, since the Ethiopian Beta Israel community is not by nature halakhically Jewish. Alternatively, it is possible that the employees did convert, but their conversions did not adhere to the Eidah’s specifications. If that was the case, those who are not adherents of the Eidah Ha-Hareidit need not hesitate to drink Barkan wine. Before I wrote my previous article about Barkan, I attempted to clarify this issue without success. One expert I consulted insisted that the Ethiopians had converted; another was adamant that they had not. I mentioned both possibilities in my article in order to make the point that it is misguided to label the Badatz as racist, regardless of which scenario is correct. Since the article’s publication, I have continued investigating the matter due to its impact on the consumer of kosher wine. I emphasize from the outset that neither I nor any close relatives are associated with any kashrut organization. Prior to my inquiries, my hunch was that the workers in question had converted. After all, even pre-Badatz, Barkan still carried no fewer than four kosher supervisions. One would imagine that at least one, if not all, of these agencies would insist on a conversion before treating an Ethiopian as Jewish for all intents and purposes. But assumptions, of course, cannot substitute for facts. Shortly after the Barkan story broke, I requested clarification by e-mail from the OK, Barkan’s main American certifier. They did not respond, so I tried contacting them by telephone. With some difficulty, I eventually reached a rabbinic coordinator at the OK’s Brooklyn office. Instead of answering my questions, he repeatedly insisted that the OK stands by its certification and maintains there was never any kashrut issue at Barkan. I responded that I was not looking for a halakhic ruling, but rather requesting information. Nevertheless, he was not any more forthcoming. Discouraged by this lack of transparency, I decided to pursue the matter with the OK office in Israel. The Israeli rabbinic coordinator with whom I spoke informed me that anyone who applies to work in an OK winery must bring a letter from the Rabbanut attesting that he is Jewish and observant. If so, I queried, why did the Badatz have a problem with the Ethiopian employees? He explained that the Badatz wanted them to undergo a conversion. I asked him: does that mean the workers had not converted previously? The rabbinic coordinator replied that the OK is still investigating that, and offered to forward me their report on the matter in a few days’ time (almost a month later, this has not been forthcoming despite my following up by e-mail). Continuing our conversation, I requested that he clarify the OK’s policy regarding whether Ethiopians must convert before being considered Jewish. He responded that the OK has never formulated a policy on the matter, and has simply relied on the Rabbanut to vouch for the Jewish status of Ethiopian employees. I asked if the Rabbanut would issue a letter of approval to an Ethiopian who had not converted. He did not know. Furthermore, the Israeli rabbinic coordinator seemed to be under the misconception that some groups of Beta Israel are halakhically Jewish according to all opinions. I informed him that, in fact, most Poskim require that all Ethiopians convert. He then asserted that if the OK discovers that the workers had actually not converted, the rabbinic authorities of the OK will decide whether or not to rely on the minority opinion of Rabbi Ovadia Yosef (who rules that Beta Israel Ethiopians are to be accepted as Jewish even without a conversion). That a well-known hekhsher could not provide a consumer with clear facts should be disconcerting to anyone serious about kashrut. It was also surprising that an organization serving mainstream American Orthodoxy would consider certifying a product based on the lenient opinion of Rabbi Ovadia Yosef, when all the other Poskim that our community respects rule stringently on this matter. Since the OK could not provide the answers I sought, I contacted a kosher supervisor on the ground at Barkan—one not affiliated with any particular agency. He stated that Barkan investigated the workers when they were first hired fifteen years ago, and concluded that they are Jewish “beyond a doubt.” When I pressed him to confirm that “beyond a doubt” means they converted, he failed to give me a straightforward reply. In fact, he seemed to be under the same misimpression as the representative of the OK—i.e., that some Ethiopians are unquestionably Jewish and no one would require them to convert. At this point, it is still not entirely clear whether or not the Ethiopian workers at Barkan underwent a conversion. If it comes to light that they did not convert, qualified Poskim will have to rule on whether there is room to permit Barkan wine post facto. But the concerns we raise here go beyond the technical kashrut of the wine in question. We consumers deserve greater transparency and diligence from those responsible for ensuring the kosher status of our food and beverages. Yaakov Hoffman is the rabbi of Washington Heights Congregation and a member of the Kollel Le-Hora’ah of RIETS. He is interested in contemporary kosher certification and is a wine aficionado. The mashgiah did provide some useful information about the background of the incident. He related that when the Eidah began to implement its supervision at Barkan, its representatives re-investigated all the employees at the winery to confirm their acceptability to handle wine. However, the Ethiopian workers categorically refused to cooperate with the Badatz’s investigation. It was this that prompted the Badatz to request their transfer. What makes you think that this issue is only with Barkan and not other wineries? Rav Ovadia Yosef isn’t your local posek. He was a gadol Hador. It is totally understandable that the rabanut follows his psakim as the Sephardic chief rabbis were the Rav’s students. And this article sound incredulous about a hechsher going according the a daas yachid posek hador. Might I remind you that the ou holds like Rav Moshe in regards to Chalav stam. The question is not whether the rabbanut should rely on Rav Ovadia but whether the OK should. I’m not sure how many American ashkenazim are in the habit of relying on Rav Ovadia’s kulos. Probably about as many as Sephardic Israelis who drink chalav stam. Josh–There may well be other wineries where this is a problem. However, I know that some hechsherim, such as OU, Rav Rubin, and Eidah Chareidis are makpid that Ethiopian workers must convert. Sam–Rav Ovadia was undeniably a Gadol Ha-Dor. However, the community at large expects mehadrin products to adhere to the consensus of major Poskim, which in this case is at variance with Rav Ovadia’s opinion. The truth is I would have less of a problem if a hechsher were open and up-front about the fact that they rely on Rav Ovadia. the main issue here was the lack of transparency. Rav Moshe was very far from a da’as yachid about government-supervised milk. That was the normative practice in the US before WWII (although of course there were individuals who were stringent). “Cholov Yisroel” only really took off with the arrival of Germans and Hungarians who demanded this. There may be other areas where the OU does have certain leniencies, but at least they are straightforward about it. Sam, we are talking about the Badatz of the Eidah Chaerdis, and whether they are racist for not following Rav Yosef’s psak. Your point about the OU actually proves the opposite. The OU is above board that their dairy products follow Rav Moshe’s psak. It is up to the consumer to decide, based on his rav or community how to act. And many other hasgochas do not follow Rav Moshe on this one, and make that clear. That is really Rabbi Hoffman’s point. If an American hasgocha’s policy is to follow Rav Yosef on this, even though virtually all other poskim disagree, then they should say so, explicitly. Then, like the issue of Chalov Stam, each rav or community can decide how to act. @Sam: Rav Ovadia Z”L had tremendous shoulders, and was able to be meikil all over the place (and had some notable places where he was machmir). Indeed, the rabbanut’s mandate is to make halacha a Davar hashaveh lechol nefesh and pick and choose kulas on purpose for this important reason. Rav Ovadia is thus an important resource for rabbanut standards all over halacha, and indeed for his myriad of talmidim. On the other hand, Mehadrin batei din pride themselves in following halachik standards that uphold to the traditions our how halacha developed for the past millennia, where we follow consensus from multiple mainstream poskim on halachik issues. It’s incredulous that 4 Mehadrin hechsherim would have nothing intelligent to say about a question that makes their wine not-so-mehadrin. Now that you know about the issue, would you marry an Ethiopian woman without inquiring? Having Ethiopians all over the country in all sorts of positions is fine for a public policy, but when you’re making kiddish on it at your own Shabbos table, or going to live with the person for the rest of your life, I think we get to choose our own standards, no? Certainly, if you point out this great kula to the average Mehadrin eater, they wouldn’t be so excited. On the other hand, if you tell people that OU-D marked products aren’t Chalav Yisrael, I think OU-D eaters are ok with that. If you want to compare the cases, the OK should have full disclosure and write OK-E for “Ethiopian”. But that’d actually look terribly racist… Regrettably, it sounds like the OK and these other mashgichim haven’t even thought about the issue, let alone have a policy about it. Why is the Mehadrin world in Israel and abroad relegated to reading an article in English by a confused young American Rabbi who actually cares? Thank you for an informative and troubling article. If by “most” you refer to secular Jews, that would be true of you and me as well. If you mean by Torah-observant Jews, I’m not sure most Torah-observant do or don’t disagree with the Eidah on many issues. One thing however is certain – when it comes to Kashrus, the Eidah has earned the highest respect from Jews across the spectrum and it’s Kashrus that we’re talking about here. And takes pains to be transparent about it. What would we say if the OU relied on R Moshe regarding chalav yisrael but withheld that fact from the public? The usual advice given to Jews with kashrut questions is to talk to their local poskim. But how can these address this issue if there is such a lack of clear guidance up the line? In defense of the OK: we are talking about חששות on a דרבנן, and there seems to be an obvious ספק ספיקא לקולא (maybe they are Jewish, and if they aren’t, maybe they had גירות – which itself should not be a question as it was רבנות policy). Not me. In fact I find them petty and destructive. Rav Hoffman, in your final point 3 you claim that it was not racism by the Eidah Charadit but lack of cooperation by the workers. Maybe the workers saw it as racism. Did the Eidah ask to see conversion papers of all the other workers? There are many workers in Israel from the FSU. Many of the immigrants from that area also have conversion issues. If there are 4 certifications and the workers claim they are shomrei torah and mitzvot, I would think that the burden disqualifying all those people and this business would require a much higher threshold, than is being cited. Onas Ha ger is very serious. It seems that the Eidah was trying to take this into account but it backfired on them. Except that if the below story is true, their anti-zionist agenda trickles into their kashrut as well. For those who don’t understand the Hebrew. The Badatz eida hareidit insisted that their hechsher be removed from Psagot winery bottles commemorating Israel’s 70th birthday. There is a growing trend here in Israel to look at a product’s suitability as having more factors involved than the kashrut clauses in Yoreh Deah. The Ethiopian episode is an example. If the Eida wants to insist that they not work on the line that is their right but the consumer has the right to reject the Eida’s decision and to therefore boycott that product. There are plenty of Eida activities to which people object and therefore reject their heksher. You know who came up with this idea about rejecting a product because of non-kashrut related matters? The Eida, so no one need feel bad if they are hurt by consumer boycotts. It seems to me like the question is a simple one. Shall matters of kashrus be decided by rabbonim and the frum public, or by the media and government committees? And, shall talmidei chachomim be given the benefit of the doubt that their p’sakim are based on halachic issues, or shall they be reflexively condemned as racists or other no-goodniks?